Me and My Crafties: Mr Snowman ... So Handsome! Mr Snowman ... So Handsome! 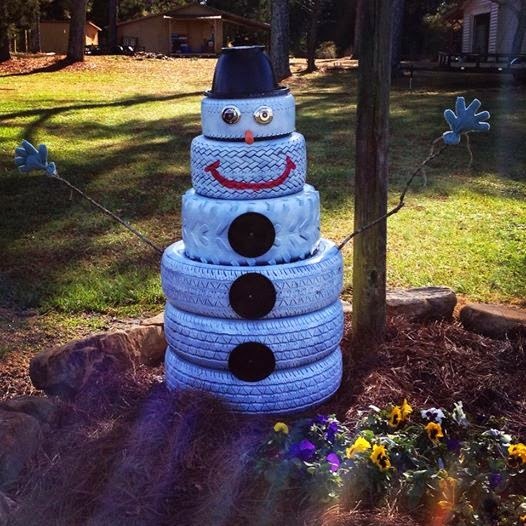 I talked the Hubby into helping me build this snowman out of old tires. He was even sweet enough to go to the tire place to scrape up a few more different sizes. We just spray painted them white ( 2 coats) Just a note that some tires will look yellow. I guess the oil on them or something. 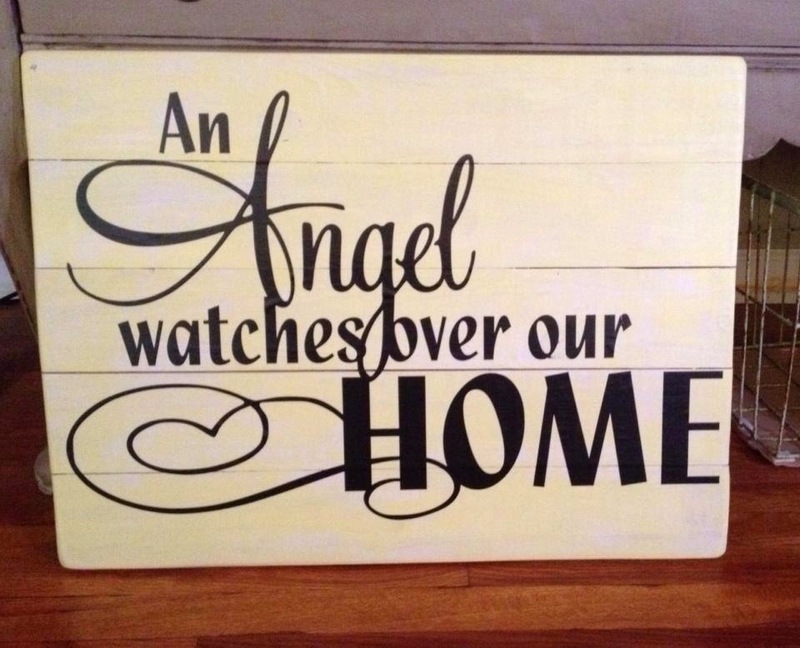 We tried to paint the one black and then white over it, but that didn't matter it still looked yellow. I didn't use them because I wanted real white. I used coffee can lids for the buttons and just fastened them with screws. The hat is a large plastic lid from a bucket and painted black. I paint an old plastic flower pot black and attached everything with screws. The eyes are some pieces I kept from an old shower caddy I didn't want anymore. Figured they would come in use for something one day. The nose is an old screwdriver painted orange. Just drilled a hole and stuck it in there. Painted the mouth with craft paint. Drilled holes and stuck some branches in them for the arms. Added mittens and...TaDa! Next year I will add a scarf, just didn't have one big enough.